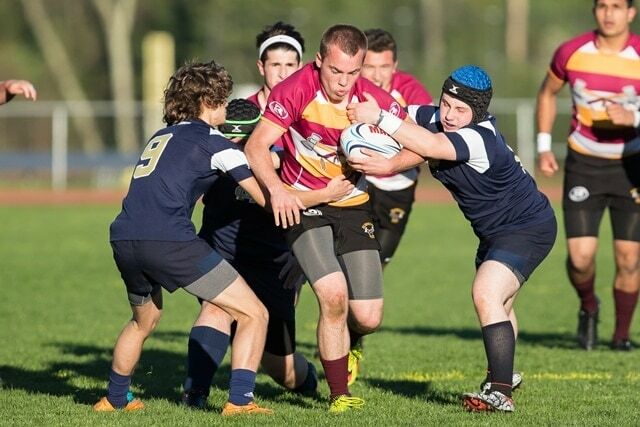 Welcome to the sport of rugby and the boys’ and girls’ rugby teams at Algonquin Regional High School (ARHS). Rugby typically receives less than full support at the high school level as compared to the more “traditional” sports, but that may be changing. 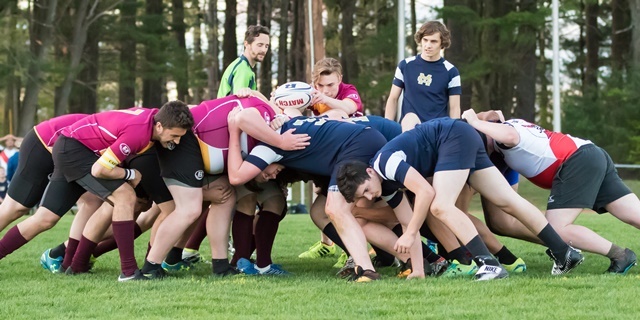 Massachusetts became the first state in the country to adopt rugby as a varsity sport this year and interest is growing, according to Tomahawk first-year head coach Jonathan Pryor. “Rugby at the high school level has been held back for lack of initiative to start a new sport and also there is a much smaller pool to have the credentials to coach,” he said. “The game has a stigma associated with it. People think it’s dangerous, barbaric, parents aren’t going to want to get involved, and therefore it’s a real dangerous sport. But there are far less injuries than other sports with data to back that up. “Rugby tackling is very specific form tackling,” Pryor explained. “Our injuries really aren’t there. The type of injuries we see a lot of are superficial. You get a stitch in your eyebrow or an elbow to eyeball contact. There are no brain injuries and the amount of concussions are down, but you do get those superficial injuries like elbow burns on turf or knees, but they’re just flesh injuries. 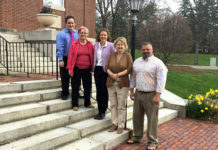 “Now that the MIAA (Massachusetts Interscholastic Athletic Association) is behind the sport, it’s going to gain in popularity and that’s going to mean more teams,” he said. Algonquin is a Division II team that plays a schedule of six games versus other divisional opponents across the state. A .500 or better record is required to make playoffs which is not an unreasonable expectation based on the dramatic changes in recent years. Pryor, who has extensive collegiate rugby experience, never set out with coaching as his goal but when it came his way, he grabbed the chance. 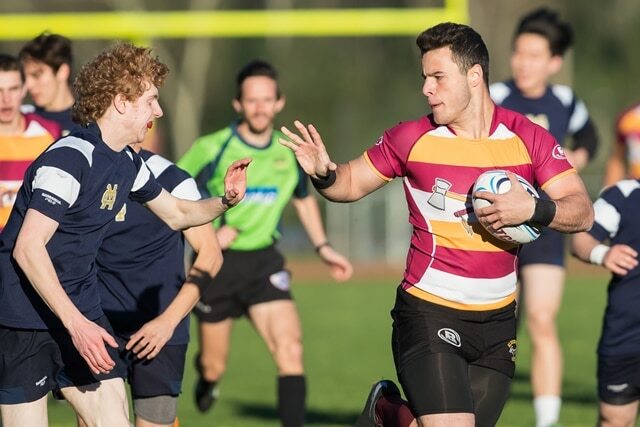 Paglia, a former football and baseball player who was cut from the Algonquin baseball squad, made the move to rugby and fell in love with the sport almost instantly. The culture is vastly different and the pressure was not there for immediate success. “I was slow to pick it up at first because I was trying to relate it to football,” he admitted. “It was easy for me to fall in love with this sport because it’s so much fun. Football had always been so serious where rugby had a more casual feel to it but still I love to compete. I also went online and watched a lot of rugby and tried to model my game after certain players. Jeffrey Turgeon is the team’s assistant coach. Members of the 2017 ARHS boys’ varsity rugby team are seniors Nate Porteus, Viren Patel, Jake Walker, Jack Gerulskis, Patrick Duffy, Matt Paglia, Cole Maslanka, Colin Robinson, Alec Looby, Jaiden Dallis, Ryan Michaels and juniors Ben Spellman, Walker Haskins, Jack Golden III, Alex Gowdy. Senior Josh Mason is temporarily sidelined with an injury. Team captains are Mason, Porteus, Paglia and Maslanka. Substitutes that made the varsity roster are seniors Neil Nadgir, Kohei Otsuka; juniors Connor Coughlin, Alec Ober; sophomores Kevin Reddington, Chris Santana and Mark Finnegan; and freshman Van Ferragamo. Alex Gowdy tries to stay upright as several Malden Catholic attempt to pull him down. Previous articleHow can my condo fee be too low?